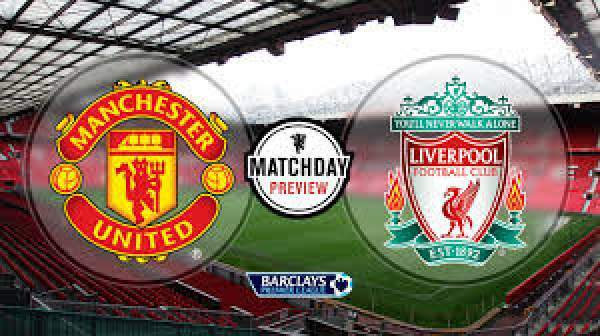 Liverpool vs Manchester United Live Streaming: It is the 8th match day of the Premier League and today we have one of fiercest rivalries at hand. It is Liverpool hosting Man United at the Anfield for the game. Manchester United are second on the table with 19 points from seven games, below on goal difference from Manchester City and five points above Tottenham. On the other hand, Liverpool are seventh on the table with 12 points from seven games. 14th October 2017 at 17:00 (IST). Liverpool played out a 1-1 draw against the newly promoted side Newcastle United after going 1-0 up, courtesy of Phillippe Coutinho. Newcastle was, however, able to make a comeback in the 36th minute and the match ended in a draw. Liverpool will be without one of their star performers Sadio Mane as he is out injured up to six weeks, however, Coutinho and Firmino will be available. Liverpool has failed to beat the Red Devils in six league games since their victory in the March 2014. They are currently very strong at home as they have lost only once in last 14 games. Man Utd won their previous league game against Crystal Palace by 4-0 with goals from Mata, Fellaini, and Lukaku. They have been in prime form but have several injury issues with Paul Pogba and Zlatan Ibrahimovic already out. The in-form Belgium International Marouane Fellaini has been also injured during the international break and captain Michael Carrick also injured. If United wins today they will have a club record 22 points after 8 games in the Premier League campaign and with the form, they are in they can do this. Man United will be very difficult to beat given the kind of form they are in but playing at home always gives the upper hand.